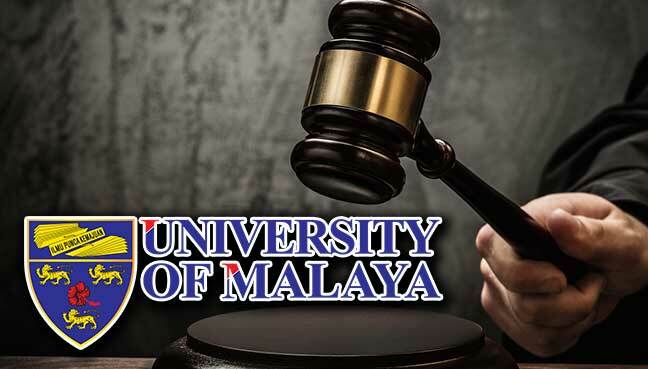 PUTRAJAYA: The Federal Court today dismissed the Universiti Malaya (UM) disciplinary board’s application for leave to appeal against five of its students for their involvement in a talk featuring Anwar Ibrahim in October, 2014. A three-man bench, led by Chief Justice Raus Sharif, said UM failed to cross the threshold under Section 96 of the Courts of Judicature Act 1964 to get leave on the five legal questions it posed. “There was also non-compliance with UM disciplinary rules (Kaedah-Kaedah Universiti Malaya Tatatertib Pelajar-Pelajar 1997),” he said. An applicant must convince the court that the questions framed were raised for the first time and was of public importance. Also on the bench was Chief Judge of Sabah and Sarawak Richard Malanjum and Justice Jeffrey Tan Kok Hwa. Tan, during the proceeding, also remarked that there was no iota of evidence that the rules were complied with. “So it does not matter whether the charge must be proved beyond reasonable doubt or on the balance of probabiity,” he said in reference to one of the questions framed by UM. On Oct 31, the Court of Appeal upheld a High Court decision which had overturned the board’s action against former Persatuan Mahasiswa Universiti Malaya (PMUM) president Fahmi Zainol and his then committee members, Safwan Shamsuddin, Adam Fistival Wilfrid, Haw Yu Hong and Khairol Najib Hashim. All had graduated last year and in 2016. A three-man Court of Appeal bench, comprising Justices David Wong Dak Wah, Yaacob Md Sam and Zabariah Mohd Yusof, had unanimously dismissed the appeal. Wong, who chaired the panel, held that there was no appealable error made by the High Court judge. On July 29, 2016, the Shah Alam High Court had allowed a judicial review filed by the students against the board that found them guilty on disciplinary charges and had imposed either a suspension, a fine or a stern warning. The university had then suspended Fahmi for two semesters and fined him RM600, Safwan was suspended for one semester and fined RM300, Adam and Haw were each fined RM150 and Khairol was reprimanded. The High Court, in allowing their judicial review application to quash the board’s decision, had ruled that the disciplinary proceedings were not conducted in accordance with the UM disciplinary rules.